We thought a little Spring Break prep was in order for this Fashion Friday. We have the new trend in swim cover-ups and cardigans on sale- KIMONOS! They will be $14.95 & FREE SHIPPING w/ the coupon code KIMONO. The great thing about these kimonos is they can be worn as a cute swim cover-up or they are the perfect spring/summer layering piece with your jeans and t-shirts. We have multiple styles and colors on sale and at this price, it is a great way to "try the trend." 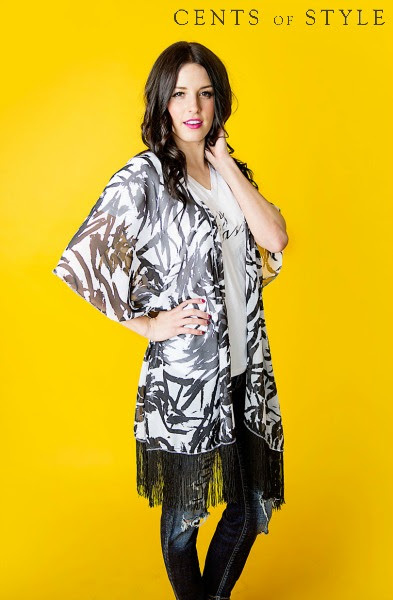 Fashion Friday- 3/6/15- Spring/Summer Kimonos $14.95 & FREE SHIPPING w/ Code KIMONO.